Gdansk is not only full of historical monuments but also of parks where you can rest among nature and have some nice time. The numerous parks in Gdańsk make the city even more attractive. 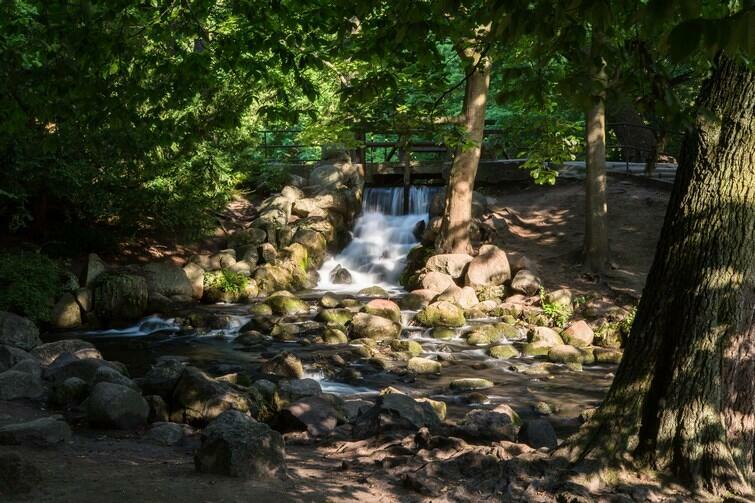 Take a stroll in the Oliwa Park, visit the exceptional neighbourhood of Orunia and the local park, take a trip following the trails of the Tricity Landscape Park or take you family for a walk to the park by the beach. The most beautiful parks in Gdańsk are worth visiting in every season of the year. Adam Mickiewicz Park also referred to as the Oliwa Park is one of the best known places in Gdańsk. The extraordinary location of the park, beautiful flora and small climatic paths of the Park create a unity that is irresistible. The park itself dates backs to the Cistercians who started a vegetable and herb garden by their monastery. Starting your stroll in the Park from the entrance at ul. Grunwaldzka following the longitudinal pond we can see the Botanic Garden created after World War II and where the visitors can also enter the enchanting Palm House. The main path of the Park, stretching from the entrance from ul. Opata Rybińskiego leads to the French part of the Park where you can see the Abbot Palace and further on the path leads to the Oliwa Cathedral. The Abbot Palace now houses a branch of the National Museum in Gdańsk, exhibiting contemporary art. In the Cathedral in the Oliwa Park one may listen to organ concerts and participate in the Organ Music Festival which is organised every summer. In the Park there are many sculptures to admire like: Exhibition of Contemporary Sculpture of Gdańsk, Swietopelk the Great and Mestwin II monuments and the bust of Adam Mickiewicz. The National Museum has another branch in the Oliwa Park - Branch of Ethnography located in the Abbot Granary. Now the Oliwa Park has been expanded with new gardens, e.g. a Japanese garden where you can have some rest during a steady walk and admire the beauty of one of the former city gardens in Gdańsk.